With over 76% of this year’s cane crop already processed into raw sugar, Australia’s sugar industry looks set for its earliest season finish for some years. The sugarcane crop has been drying out quickly so the majority could be harvested well before the end of November. The season started back in late May when the first mill started to crush. 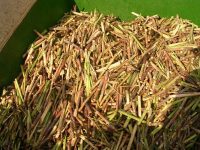 As soon as all 24 Australian mills were up and running in late June, total sugarcane throughput stayed on or around 1.5 million tonnes of cane crushed each week. Throughput will tail off as mills in different regions complete their crush. Due to the dry conditions, current production forecasts for 2018 are 33 million tonnes, over 1 million tonnes down from the initial starting estimate of 34.3 million tonnes (MT) for total cane to be harvested. However, sugar content in the cane (commercial cane sugar or CCS) has been high and the raw sugar produced is likely to range between 4.2 MT to 4.6 MT*. The Australian Sugar Milling Council says the crushing season has gone well amid growing concerns over the depressed outlook for world sugar prices. High global inventory stocks coupled with a huge volumes of subsidised sugar, mainly originating from India and Pakistan, are dragging export prices for raw sugar down to levels not seen in over a decade. Prices have rallied over recent days and long-term global demand for raw sugar continues to be strong, but the low prices are below the cost of production for the Australian industry. Most industry analysts suggest a sustained price recovery is unlikely in the short term. *2017 production was 33.3 MT cane crushed and 4.48 MT raw sugar produced, of which 3.7 MT was exported at a value of $1.5 billion.